In the last chapter, we discussed the statistical calculations necessary for establishing values that could be considered normal for a given metric. Once a normal is established for each metric, it is possible to identify metrics outside of normal and highlight them. These “abnormal” metrics are the ones that will be most useful for predicting the cause of performance issues in the database. 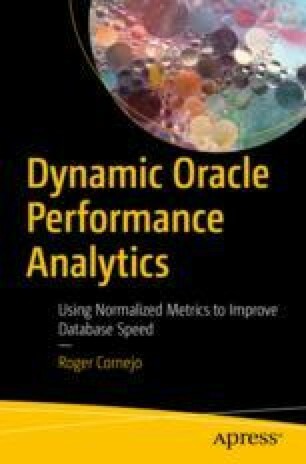 In this chapter, I’ll discuss the process of drawing out the Oracle performance metrics that are abnormal and therefore important for our analysis and discerning which ones can be safely ignored using a process that eliminates personal bias.